Our Dune Buggy Tour in Huacachina Oasis has different departures during the day. 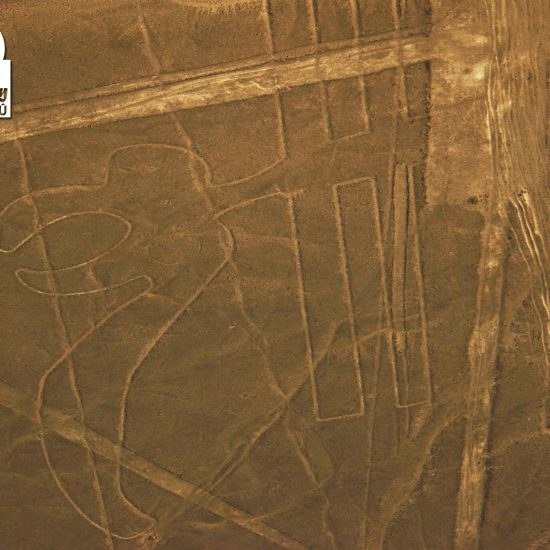 On this excursion, we explore the adjacent desert of the Huacachina Oasis. During the excursion, we will have the opportunity to practice Sandboarding, a favorite sport in the area. We will also enjoy beautiful desert landscapes, as we drive across the zone. This tour is full of fun and adrenaline, a particular excursion for those looking for adventure. 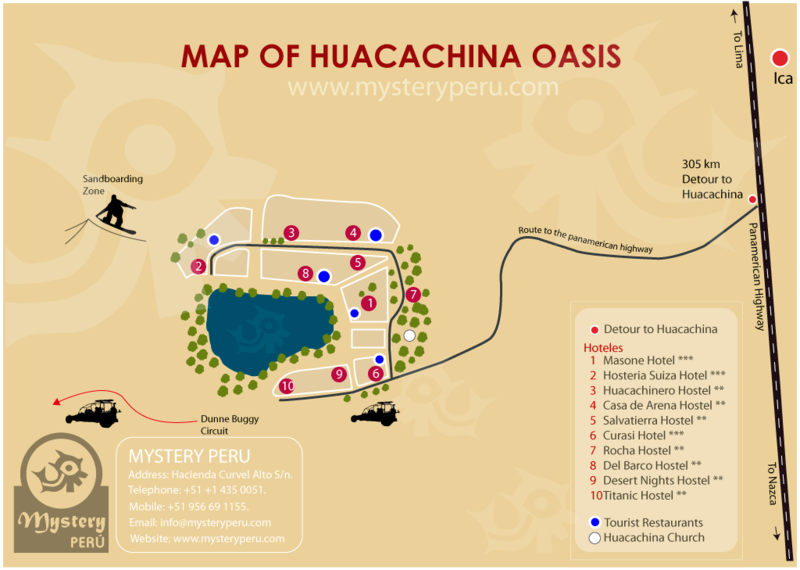 Our tour begins on the shores of the Huacachina lagoon; therefore this will be the meeting point. At the designated time, we will meet in our office, which is located a few meters from the lagoon. Here we meet our driver and receive safety instructions about the circuit. From Huacachina we drive our Buggy machine towards the west, where we will find the best dunes formations. There are many styles to perform sandboarding; some will be able to do it lying on the board, others seated and the most expert standing. From the top of the dunes, we can also contemplate the beauty of Huacachina. Eventually, we will return to the Huacachina Oasis. Our Dune Buggy Tour in Huacachina Oasis is subject to availability. Buggy machine equipped with safety seat belts. A qualified off-road professional driver. Dune Buggy Tour in Huacachina Oasis. 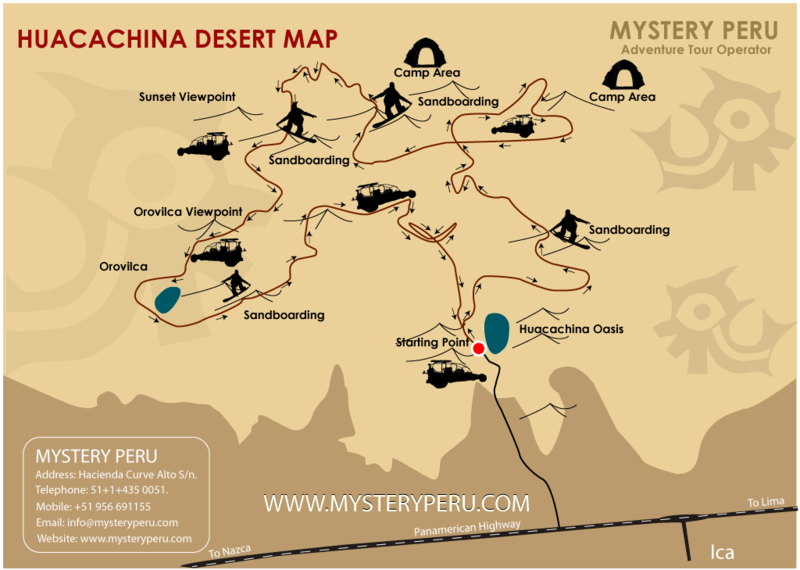 Map of the Dune Buggy Tour in Huacachina Oasis.